I was so excited to see that Andrea, from The Glam Pad is participating in The One Room Challenge Linking Party. 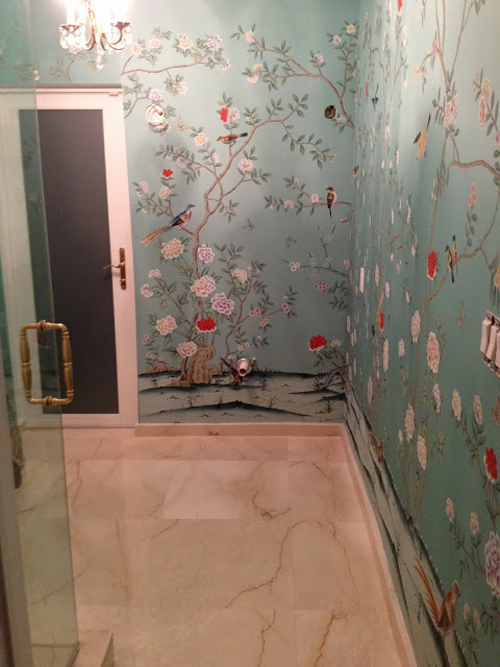 She's sharing the transformation of her powder room, and will be telling us all of the details about her experience commissioning this faux de Gournay paper. I, for one, will be paying very careful attention. I hope you're enjoying your Saturday!